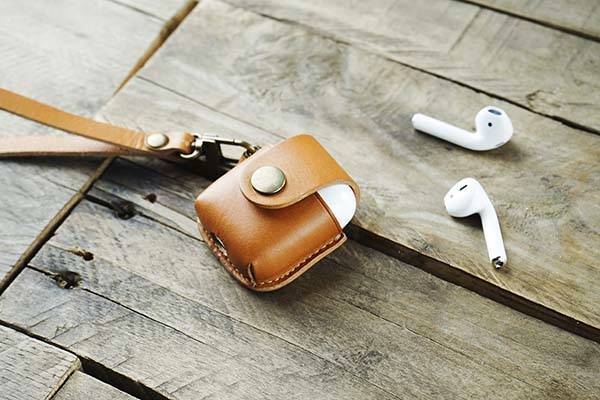 The handmade Hevitz 7050 AirPods leather case delivers a stylish way to protect the Apple’s truly wireless earbuds. Like the design? Let’s keep checking. The 7050 is a beautifully designed and well-crafted AirPods case handcrafted by Hevitz, a Korean handicraft studio. The AirPods case measures 6 x 6cm, and as we can see from the images, it shows off a stylish and vintage appearance design, and it’s made from vegetable-tanned leather for durability and enhanced elegance while six optional colors allow it to meet more personal preferences. Meanwhile, it’s stitched with German thread for durability, and the tread is compliant to the classic aesthetic style. The AirPods leather case snuggly holds your AirPods’ charging case and protect it from bumps and scratches. Furthermore, its metallic closure not only keeps it in place, but also allows you to access to the wireless earbuds without having to take it out from the leather case. 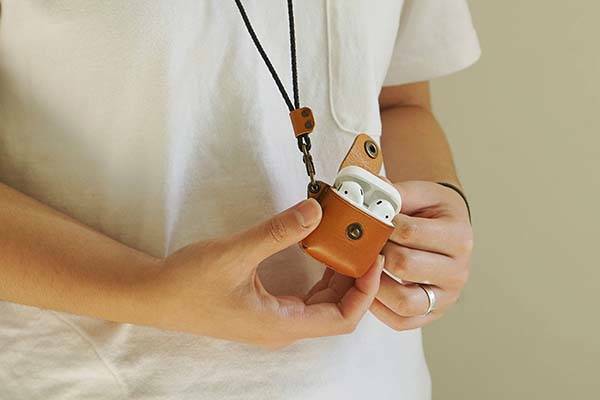 Moreover, a matching leather strap lets you easily take it anywhere with you, and its custom opening allows you to charge your AirPods with ease. The handmade AirPods leather case is priced at $36 USD. If you’re interested, jump to Etsy for its more details.